Cheap rear window replacement for your Land Rover? Many of the cars made by the originally British Land Rover are ideal for off-roading. However, this may well make the rear window replacement of a Land Rover necessary. Of course, a car window can also break as a result of a collision or vandalism, for example. Although it often becomes an expensive job for a brand dealer to replace a Land Rover rear window, it will certainly not cost you the top price if we take on this task. By purchasing after market automotive glass you can be sure that you can replace the rear window of your Land Rover for the lowest price. How we keep prices low and when you need to change the rear window we will be happy to explain to you. Before we go into this, we will first tell you more about the special history of the iconic car brand Land Rover. and William Sutton started the Starley & Sutton Co company in England. Like Opel, the company started producing sewing machines. Later on the company specialised in bicycles. The name Rover was given to one of the first three-wheeled bikes the company developed in 1883. This name was eventually also given to the company, which from then on was known as Rover Company. In 1901, after having previously produced motorcycles, Rover began developing cars. Although this was not an undivided success, the company continued and especially after the two world wars the cars became very popular. Around this time, 1947, the Land Rover also came into view for the first time. Two of the company's employees developed a strong and powerful vehicle based on Jeep models, which had to be able to handle all terrain. Later, Range Rover was also added to Land Rover as a subbrand. in 1967, where it then went from bad to worse until it was declared bankrupt in the 1980s. Land Rover's parent company was subsequently bought up several times and changed its name countless times. It came into the hands of, among others, the British government. 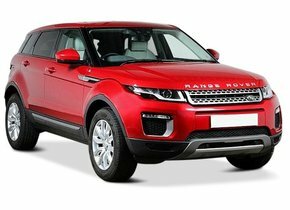 Since 2005 the car brand Rover is (temporarily) inactive, but for Land Rover followed a different path, because this car brand is still very popular. Due to the success of Land Rover, the German BMW decided in 1994 to take over the entire Rover Group. 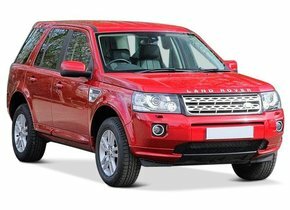 During this period, new models were introduced, including the Freelander and the second generation of Discovery. In 2000, BMW decided to split the Rover Group. 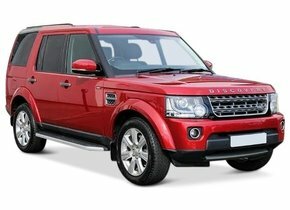 The car brand Land Rover came into the hands of the American Ford in 2000 for more than 1.8 billion pounds. Meanwhile, developments at Land Rover are continuing at a steady pace in the meantime. Despite the many changes of ownership, Land Rover continues to develop as a manufacturer of quality vehicles that are suitable for driving on all terrains. In addition, SUVs became increasingly popular on the road around the year 2000. Top athletes and other celebrities are increasingly opting for a large SUV in that period. This is one of the reasons why the four millionth Land Rover will be rolling off the tyre in 2007. 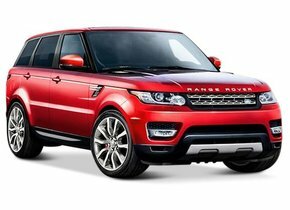 Due to the continued success of the car brand, the Indian company Tata Motors acquired Land Rover in 2008. Since then, things have only got better. Sales figures have risen from more than 140,000 units per year in 2009 to more than 430,000 cars in 2016. The cars of the brand are sold almost all over the world. Part of Land Rover's strength comes from the continuity of the models. Over the years relatively few different models have been made that are each very recognizable as typical Land Rover. The cars are also very reliable and strong. Even old versions of the Discovery, for example, can still be seen regularly on, or right next to, the road. It is no coincidence that Land Rovers are also widely used in the army. 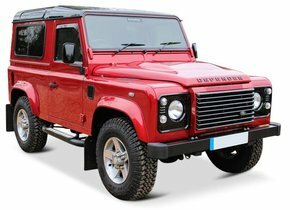 When should I replace the Land Rover rear window? Unlike your car's windscreen, your Land Rover rear window cannot burst. In the event of an impact, for example due to an accident, the car window will immediately break up into thousands of pieces. The rear window of the car is made of tempered glass. This glass was heated quickly and then cooled down quickly. This makes it safer for passengers in the event of an accident. The small pieces of glass will cause far less damage than would be the case with large pieces of glass. The rain can also damage the electronics. Fortunately, the rear window replacement of your Land Rover can be done quickly and at a competitive price by placing an order with us. This is because you can buy here after market rear windows. Only brand dealers are allowed to sell car windows with a brand logo in the first instance. As a result of this monopoly, they are keeping the price much higher than it should be. As a result, as the owner of a Land Rover, you will have to pay a lot for a new car window. After market vehicle glass does not have a brand logo and can therefore also be sold by other parties. The quality, however, is exactly the same, as the car windows come from the same factory. The price of the rear window replacement for your Land Rover is the only difference, apart from the absence of the brand logo. It is also possible to order your Land Rover rear window from us and place it yourself. Many other companies do not offer this possibility. Simply choose the car window you need and you'll get it sent home quickly, after which you can start repairing your window damage yourself. It is also possible to pick up the vehicle glass at one of our service points in the country. Do you not have the knowledge to do the rear window replacement for your Land Rover yourself? Then our certified partners will be happy to assist you. They also offer mobile service and come on site to replace the rear window at an equally low price. If you want to get back on the road safely with your Land Rover, you can definitely count on us.